A menorah can be made out of just about anything, including food cans. Miami students will build a “CANorah” beginning at 6:30 p.m. Tuesday, Dec. 4, at the Phi Delt Gates to celebrate Hanukkah, now through Dec. 10. Following the menorah lighting ceremony, the cans will be donated to the Oxford Food Pantry. “We will be lighting up the night while helping to fight hunger in our community,” said Mushka Greenberg, executive director of Chabad at Miami. 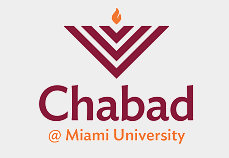 Chabad is an organization that serves as a “home-away-from-home” for Jewish students on Miami’s campus. They host events, serve meals and help foster the next generation of Jewish leadership. The public menorah lighting highlights and encourages the central theme of the holiday — publicizing the story of the Hanukkah miracle. The Miami display will be one of more than 15,000 large public menorahs sponsored by Chabad organizations in more than 100 countries around the world.